I’m currently on my way to Columbus for World Fantasy Convention, but I so did not want to miss posting this today, so, you know, I’m working my magic at the moment. Thus, this post is brought to you by Carol’s Patronus. I know it looks surprisingly like Lady Gaga. But I assure you it’s not. It’s actually a jackalope. With sunglasses on. It’s sunny out. But why was this post so important that I had to conjure a patronus to bring it to you? Why, because it’s all about Daisy Whitney, author of THE MOCKINGBIRDS. Indeed, Daisy is worth a hundred conjured patronuses (Patroni? ), although I’m betting her patronus is probably something way cooler. Like an elk that looks like Daniel Craig. Go here for my REVIEW of THE MOCKINGBIRDS. Now, I had a little chat with Daisy. Here’s how it all went down…. Welcome to my blog, Daisy! So good to have you. I’ve spruced up the place just for you. What do you make of my new sculpture? I had no idea you could do that with yogurt! Okay, let’s get down to business. First, let’s talk a bit about your new book The Mockingbirds. What motivated you to set the story in a private high school versus college? What made you decide to create a peer-court for the story instead of a more official justice system for Alex? I wanted to show that teenagers could create something to police and protect themselves and show the challenges and victories in such a system. I LOVE books that encourage and inspire. And having read THE MOCKINGBIRDS, I know just how inspirational your book is—but I know it was inspired by another super book. Please tell us a little bit about how you came up with the title of THE MOCKINGBIRDS. The book is inspired by Harper Lee's TO KILL A MOCKINGBIRD, which is the canonical story of justice and doing the right thing and that's what the secret society of the Mockingbirds strives to do as well. Man, that’s a great book. I love how you worked it into THE MOCKINGBIRDS. Now, moving on to a more personal question: Do you like to sit in the back seat of your car and be driven around by your husband so that you can say he’s driving Miss Daisy? Given that the front seat of his car is the dog's seat, it all works out! Oh, you are a good doggie mama! I don’t give up the front seat for anything! Now, to completely change the subject: does anyone ever get confused and call you Daffodil? No, but they often call me Whitney as my first name! Ha! People are so silly. Nobody ever calls me Miller as my first name. Your profile indicates that you are a new media producer. I’m guessing this involves produce in some capacity? But I could be a bit off. Perhaps you could explain for our viewers what new media production entails? It means I make content. Ha, so much clearer right? For my day job, I produce conferences, news reports, podcasts and such on the media business. Wow, that has nothing at all to do with produce…but it sounds like such a cutting edge job. I know you believe in shoes, chocolate chip cookies and karma, none of which are like reincarnation. But let’s pretend like they’re the same. Who do you wish you could be in your next life? A shoe tryer-on for Christian Louboutin. *Drools* That is officially my new dream job. As long as I get to keep the shoes. Now, you don’t have to answer, but I feel obligated to ask this next question. If you were to go back in time, and live your life all over again, would you have chosen…to be named Daffodil? No. I would have chosen to be named Time Ninja. What do you hope that readers will take away from your book—and from you? That taking a stand for yourself or your friends is cool! Such a great message, Daisy! Favorite Vlog brother? Love them both! Halloween Costume? rock star with purple hair! It’s clear Daisy is awesome. But check out this trailer of THE MOCKINGBIRDS to see just how amazing this book is! Thank you so much for coming by my blog, Daisy! Best wishes for a successful launch of THE MOCKINGBIRDS! THE MOCKINGBIRDS is now available for preorder and will be released November 2, 2010. 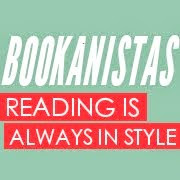 Be sure to check out what some of the other Bookanistas have in store for you today! Christine Fonseca and Lisa and Laura Roecker are raving over MOCKINGBIRDS. Jamie Harrington is dying over CRESCENDO. Kirsten Hubbard is gushing over ANNA AND THE FRENCH KISS. Shannon Messenger is amazed over THE SEARCH FOR WONDLA and her giveaway. Megan Miranda is blown away by SHIP BREAKER. Veronica Roth is raving for DELIRIUM. This book looks GREAT! And this was such a super interview - so funny! You two should think about doing stand-up together. Great post! I have got to read this book! Great interview!!! This was really such a great read. I think it's patronae. Just kidding. If it's not it should be. Anyway great review, great interview, thanks Carolina! i just love this book, i can still remember the first time that i read it, i was in a digital printing services company break. and it was awesome. It is clear Daisy is awesome and the book sounds great. Wouldn't it be horrible to be a shoe tryer-oner for Louboutin and have to give back the shoes? Carol--Great review and rockin' interview! Daisy--The book sounds awesome! Congratulations! I can't wait to read it. It sounds fabulous! Okay, I have to admit that I've never read To Kill a Mockingbird (yet...it's on my shelf!) and I didn't realize this was an inspired-by book. And as long as I'm baring my soul over here, I might as well confess that despite seeing Mockingbirds around all over the blogosphere for months, I didn't really know the gist of it until now. Great review, great interview, thank you! You guys are hilarious, you should go on tour together! Great interview! I grinned all the way through it. I laughed out loud when she said she'd love to be called Time Ninja. It's clear to me now that I must read this book. Your patronus rocks, Carol! It had my attention after mentioning the Daniel Craig elk. I hope you have a wonderful time at the conference. I'm so looking forward to reading Ms. Whitney's book.